Based in the Chinese zodiac, 2017 is the year of Fire Rooster that start from January 28, 2017 (Lunar Chinese New Year) and end on February 15, 2018. 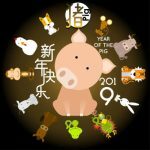 Are you excited to know how your Chinese Zodiac fare in terms of wealth luck, health, career luck and love/relationship luck? Here are the highlights of each Chinese Zodiac forecast for year 2017. 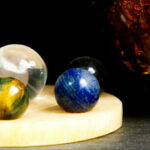 Center Illness This hostile Star brings diseases, sicknesses, accidents, lethargy and general poor health & bad luck. North West Arguments This quarrelsome Star brings hostility and danger of misunderstandings which can lead to stress and even litigation. It causes obstacles to all your plans and at its most severe can be dangerous as well. West Academic This delightful Star governs romance, career, travel, creative, academic and artistic talents, wisdom and intelligence as well as self-development. North East Calamity This deadly Star brings the worst luck compared to all other stars and must be avoided or countered. It causes calamity, work obstructions, family disputes, injuries, wealth loss and even death. South Career/Authority This divine Star brings potential windfall, wealth and good blessings, but is a bit weak in Period 8. It also generates nobleman's luck and attracts benefactors so that work could be carried out smoothly. North Discord This vicious Star brings injuries, burglary, fire, rivalry and lawsuits. It also causes financial losses, disputes in every aspect of life, either at home or at work. South West Wealth This is the luckiest and most vibrant Star in the current Period 8. Also known as the Primary Wealth Star, it brings fortune, nobility, favourable promotion, salary increment, smooth wealth luck, good health and career success.